I LOVE fall. I love it so much that my husband and I got married in the fall (9 years ago in November)! The season is beautiful and has the BEST food. Now, you would think because I love fall, I would love Pumpkin Spice Lattes. You would be wrong. I really don’t like them. Don’t get me wrong, I enjoy pumpkins. I enjoy pumpkin pie, pumpkin bread, pumpkin crumb cake, pumpkin pudding, etc. Seems like it might be because pumpkin themed coffee drinks don’t usually include actual pumpkin. 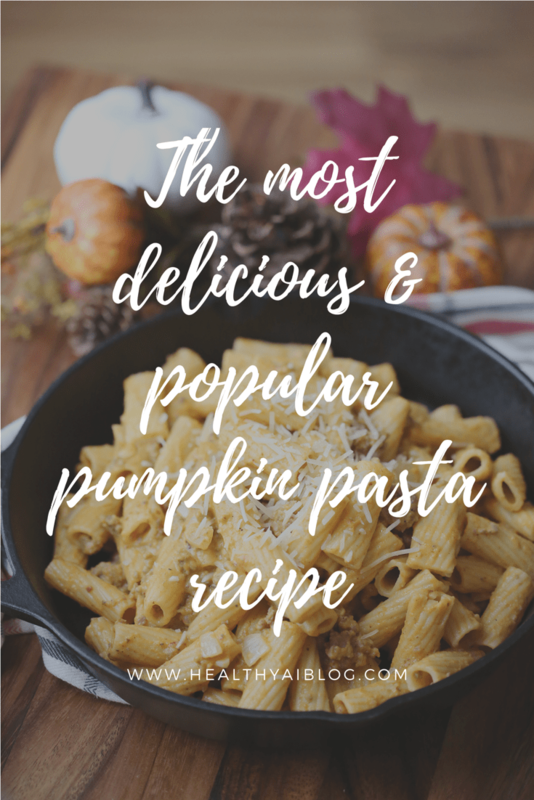 We usually don’t have pumpkin savory meals, so I endeavored to make one that even my husband and boy would eat (they’re on team sweet potato). 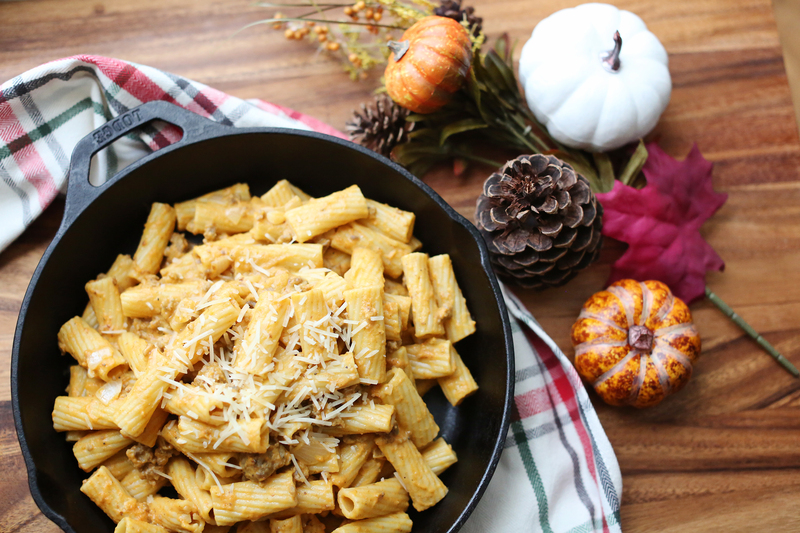 Enter the Creamy Pumpkin Pasta. 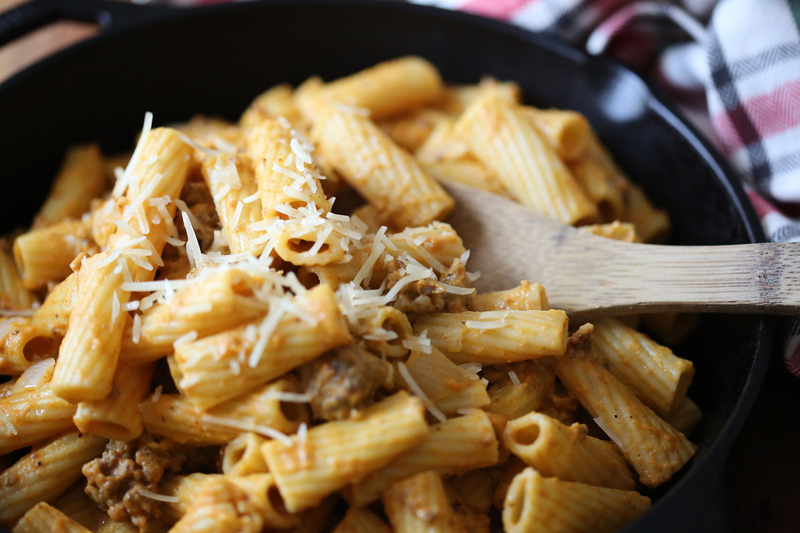 It’s creamy, a little sweet, meaty, and absolutely perfect for a fall evening. 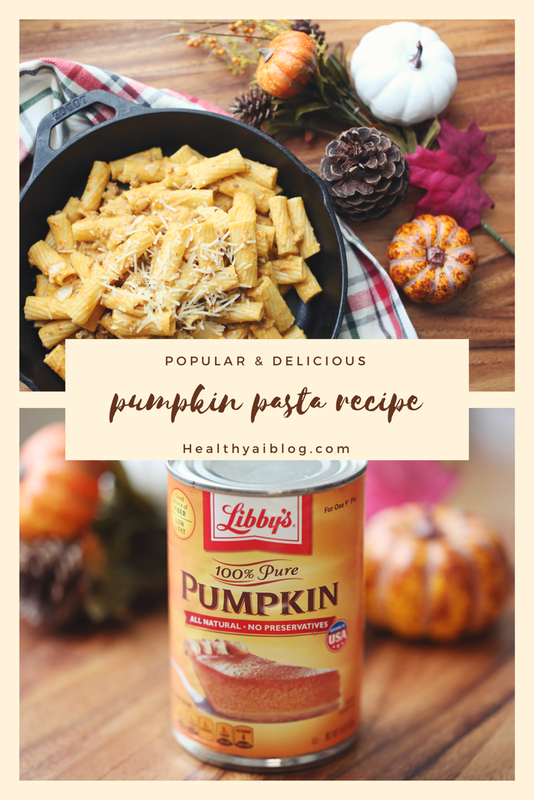 You can use an actual pumpkin for this recipe, if you want absolute control over pumpkin quality or something. If you do, I would recommend a sweet or pie pumpkin. 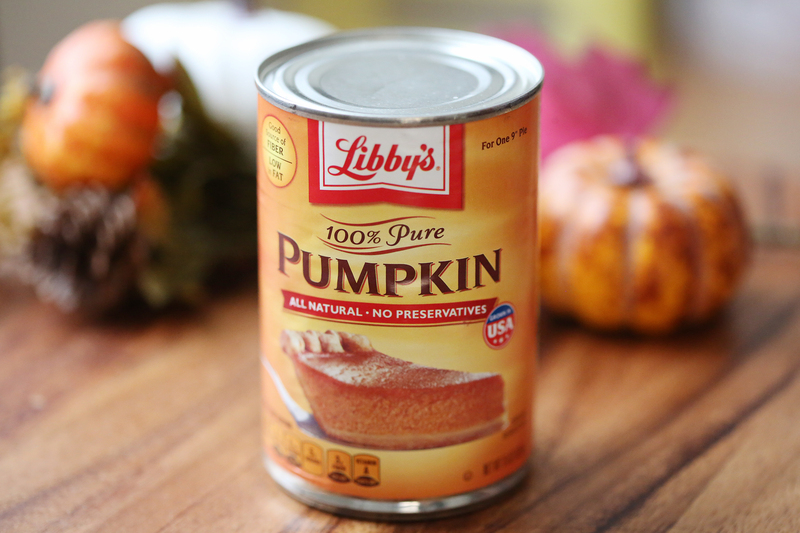 If you go the canned route like me, make absolute sure that you use the one that only has pumpkin in the ingredients list. 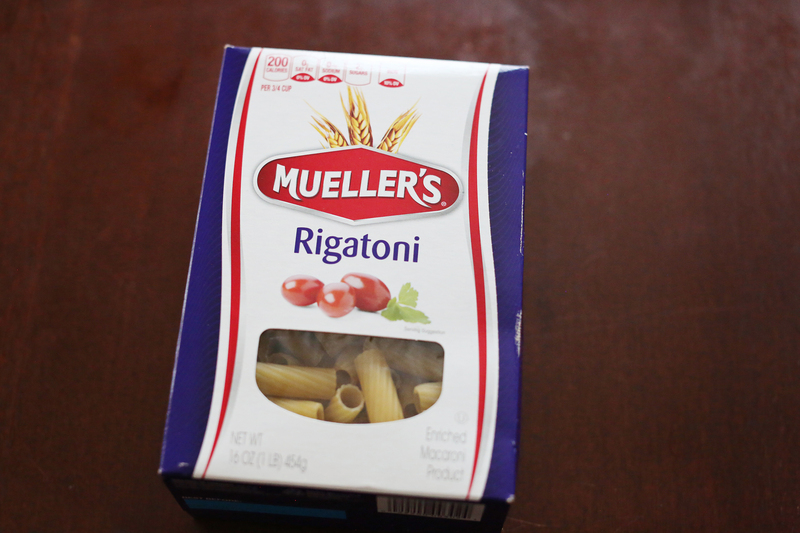 The other kind has a lot of sugar and spices that you may not want for your pasta. I usually use only like three types of pasta ever. However this time, I opted for Rigatoni. I think it’s perfect for this because it scoops up the lovely sauce. 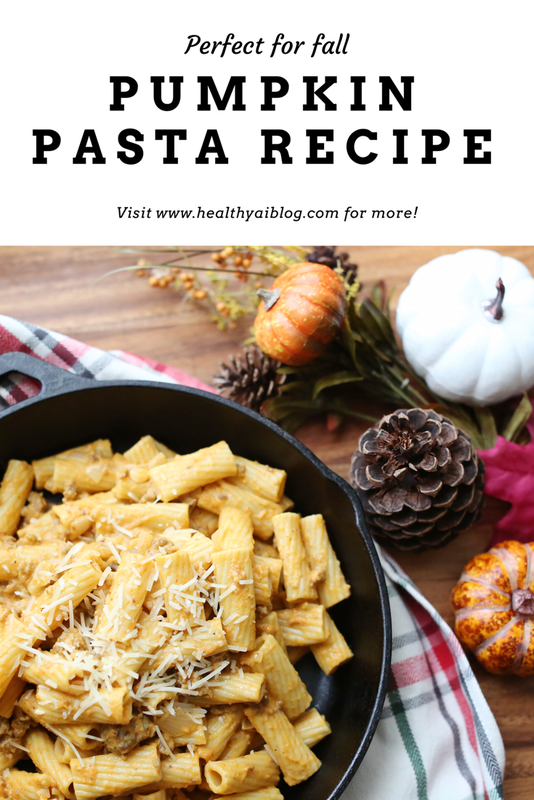 But you can opt for any pasta or pour the sauce over rice. Directions: Cook pasta in deep skillet according to instructions on box and set aside. Brown sausage over medium high heat. Next, add chopped onions, sage, nutmeg and cook until onions are translucent. Add canned pumpkin, chicken broth, and salt & pepper to taste. Take skillet off heat. Add heavy cream and stir until incorporated. Finally mix pasta into sauce and sprinkle parmesan on top. Serve and enjoy!